Attention Conference Presenters - please review the Speaker Information Page available here. Over the last two decades, systems biology has become a large and diverse field of research in life sciences, building up on the successes of molecular biology and genomics. 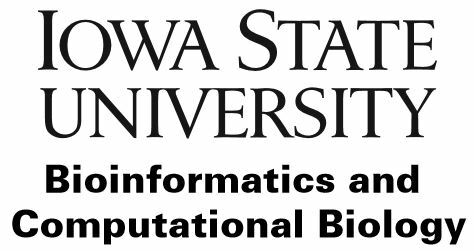 Computational biology is at the core of systems biology investigations and several ISCB Communities of Special Interests (COSIs) have been created that focus on relevant scientific aspects or approaches. Because systems biology's main interest lies in understanding the emergent properties of complex systems, the study of network structures and the quantitative descriptions of systems' behaviour are its two main pillars. The NetBio (Network Biology) COSI provides an interface between tool developers and users in the field of network biology. It particularly focuses on two major areas: (1) the development of network-related tools and resources, and (2) the application of network analysis and visualization in the study of biology and medicine. Mathematical modeling of biological systems has recently become more reliant on bioinformatic data to build, train and validate models. The SysMod (Computational Modeling of Biological Systems) COSI aims at bridging the gap between bioinformatic analysis and systems biology modeling. This ISMB COSI session will focus on the conjoint use of network analysis and mathematical modeling. Two short presentations will introduce the COSIs, their aims and their activities. The session will feature four scientific talks by leading experts. Lars-Juhl Jensen (University of Copenhagen) developed some of the leading network databases and prediction tools. Nathan Price (Institute of Systems Biology and University of Washington) is an expert of multi-scale modelling of metabolism and regulatory genomics. Dr. Natasa Przulj developed innovative approaches to extract biological knowledge from network topology. Jonathan Karr (Mount Sinai School of Medicine) developed the first mathematical model of a complete cell. The session will be completed with discussions around the challenges and opportunities of mathematical modeling of biological networks, and the possible synergies between the two COSIs. We expect the audience to be made partly of researchers involved in network analysis and mathematical modeling, and partly of ISMB attendees interested to learn more about those domaines of research. Therefore we will particularly welcome participants who did not attend the NetBio and SysMod Special Interest Groups (SIGs).